Probably the most important IT related decision you can make for the success of your business is choosing the correct management thereof. To use a business cliché that we are all no doubt too familiar with, “Time is Money” Reducing the amount of time wasted on what is known in the IT field as intervention directly increases your profit. According to Gartner a managed workstation costs 42% less than an unmanaged one. Average savings equates to approximately R1000 per PC per year. This means that expenses can be cut nearly in half merely by proactively monitoring your network. Furthermore there is an increase in savings because pro-actively maintained network costs considerably less than paying each and every time something goes wrong. This further implicates a far less productive damage control approach whereby the IT professional is trying to rectify a problem which could have possibly been prevented. Once again time is wasted as that issue hinders the workflow. 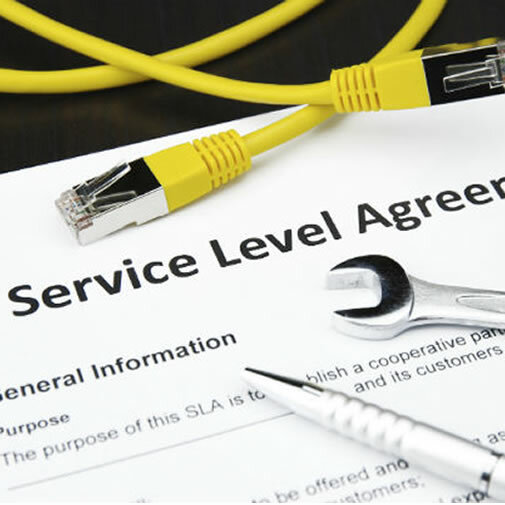 Service Level Agreements (SLA) empowers you to not only cut down costs but ensure the uninterrupted course of normal business events. The level of service can be delivered most (>90%) of the time. The SLAs add value to the overall support and maintenance programs offered. The service levels offered are consistent with customer expectations (e.g., speed of response, restoration, uptime, etc.). Embedding of maintenance program and budget.